Last year climate scientist Dr Ben McNeil created an innovative way for members of the public to engage with and financially support scientists to carry out cutting-edge research via a subscription crowdfunding platform called Thinkable.org. The initiative seeks to address major shortfalls in funding for blue-sky research and early career scientists in Australia. “Government research grants tend to favour established researchers with long track-records. Failure, risk-taking and pursuit of crazy-sounding, but potentially transformative, ideas are not supported under the current system,” said Dr McNeil. With more than four out of five applicants for competitive government research grants unsuccessful, Dr McNeil says that by tapping a new avenue for on-going support, Thinkable.org will complement, not replace, this system. “Every Thinkable sponsorship goes to researchers to pursue their most creative and innovative ideas,” said Dr McNeil. Since the platform launched in August last year, Thinkable has grown to nearly 10,000 members and researchers from around the world. Over $150,000 has been raised or on offer through partner organizations launching open grants and competitions on the platform. In the latest campaign, the Thinkable Open Innovation Award attracted 47 creative research pitches from 25 different universities and 6 countries in just two months. Participants created three-minute videos to inspire the world and compete for $5,000 towards their research. Dr McNeil said the goal was to provide an open forum that would showcase and reward researchers to engage with the widest possible audience around the world. The overall winner of the 2015 Thinkable Open Innovation Prize was UNSW’s Dr Jeremy Henson, whose submission to develop a technology to create high-throughput cancer screening technology won 1,477 votes. And while the initial prize money was $5,000, nine new sponsors joined Thinkable to top-up the award with an extra $700 that will help this year’s winner pursue his project. In the coming months, many more prizes, grants and competitions will be launched in partnership with organisations and societies to showcase and fund researchers in this innovative and engaging way. Researchers in any field of science at any stage in their career can register and start building their profile on Thinkable. All registered researchers will receive updates on the latest competitions and grants available for funding as well as giving them the tools to building their own audience for on-going support. 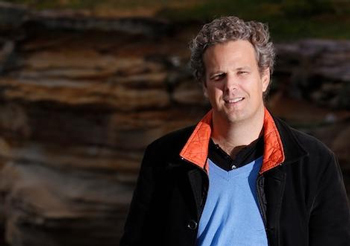 Dr Ben McNeil is a senior researcher at UNSW’s Climate Change Research Centre.